Highly awaited blockchain Cosmos has finally launched an official live software. This blockchain is designed to enhance interoperability between any number of blockchains. Mining of the first block of the project took place on Wednesday, along with the launch of Cosmos Hub, first of the multiple intended proof-of-stake blockchains created for the Cosmos ecosystem. The project was under planning and development for more than three years and is riding on enormous expectations. The concept of interlinking every blockchain was showcase first in 2016, following which cosmos raised around $16 million in its Initial Coin Offering (ICO). Since the time concept was first showcased, Tendermint Inc., the core technology developer for Cosmos had been releasing beta versions of the project for developers. As of today, however, users still cannot hook to the Cosmos Hub yet as it is awaiting the official vote by validators to activate Inter-Blockchain Communication protocol (IBC). 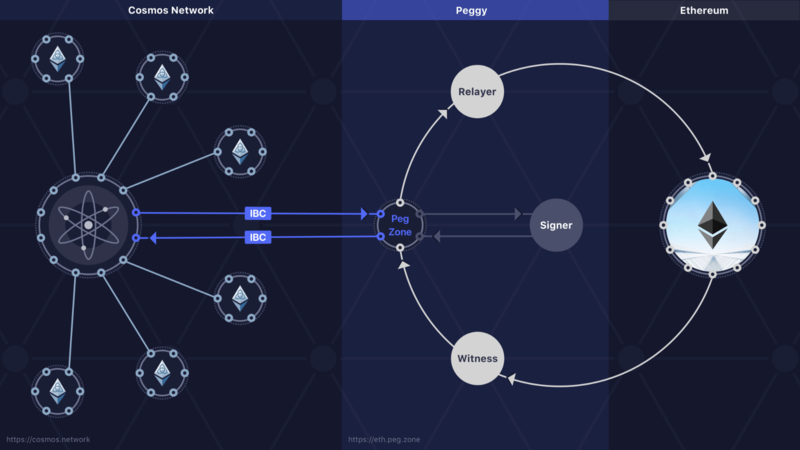 Once the formality is completed, users will be able to exchange tokens between several blockchains using Cosmos and even connect to the hub with existing blockchain networks. Zaki Manian, Director of Tindermint Inc., stated that the company intends to pull the time taken for blockchain development to months from years. They want to completely transform the blockchain space, he added. Manian also claimed that the Cosmos Software Development Kit (SDK), released in February 2018, is currently being used by established players of the crypto blockchain space, like Binance Crypto Exchange. Manian believes that Tendermint Core, the blockchain networking and consensus mechanism which backs Cosmos Hub, is another important tool which will help the company tackle obstacles in the way of innovation in the blockchain world. He also claimed that applying these tools will revamp the entire blockchain space for the finance sector. Innovation has always been the key factor for the global success of blockchain. The launch of Cosmos Hub is a significant step from an industry perspective. The primary vision behind the new blockchain is to establish a broader ecosystem of stakeholders of token networks. On the other hand, Tindermint will continue to work towards enhancing cross-blockchain capabilities. However, Manian believes that the concept is still quite new and will take a year to be utilised to its fullest. Commenting on the functionality and adoption, he stated that a set of operators is essential, for realising the ambitious vision, who have strong capabilities and experience in the blockchain space. Validators in a Proof-of-Stake (PoS) blockchain differ in function from those in Proof-of-Work (PoW) blockchain, on which Bitcoin and Ethereum are based. In PoW blockchain, validators basically are miners who compete for block rewards by operating servers and shedding a substantial amount of electricity. While on the other hand, PoS validators are selected by the system metric to participate in blockchain creation. At the launch, Manian told reporters that there were about 70 validators on Cosmos Hub committed to securing the network. Few of these validators are specifically focused on staking tokens as service in order to widen holder base of native network currency or ATOM tokens.